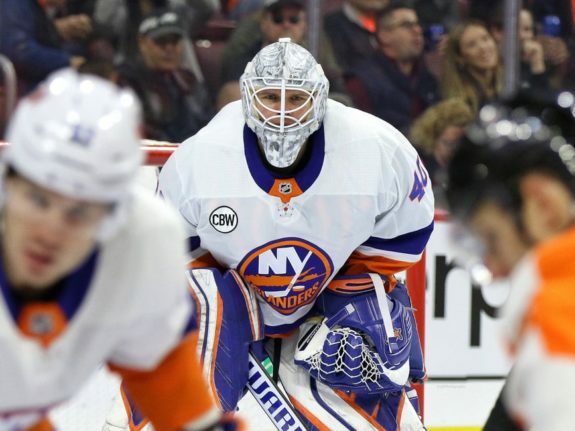 WASHINGTON — Valtteri Filppula scored twice in his return from injury, Robin Lehner stopped all 29 shots he faced and the New York Islanders beat the Washington Capitals 3-0 in each team’s regular-season finale Saturday night to clinch home-ice advantage in the first round of the playoffs. Coach Barry Trotz’s team came into the game against his former team needing at least one point to secure a second-place finish in the Metropolitan Division, just behind Washington. The Islanders will open the playoffs at home for the first time since 1988 against Pittsburgh. The Capitals will face Carolina in the first round as they try to repeat as Stanley Cup champions. Washington had nothing left to play for in game 82, so centre Nicklas Backstrom, right wing T.J. Oshie and defenceman John Carlson rested and backup goaltender Pheonix Copley started and made 18 saves. New York faced the possibility of starting on the road at Pittsburgh, making this a meaningful game. First-round games will take place at the renovated Nassau Coliseum, while any subsequent rounds would be at Barclays Center in Brooklyn. Filppula and Lehner helped set up a raucous atmosphere for Game 1 at the Coliseum by taking care of business against the Capitals. In his first game back after missing the past eight with a hyperextended left elbow, Filppula scored on a breakaway early in the second period. The Finnish centre added his 17th goal of the season in the third on a redirection. Lehner made a handful of key saves on the penalty kill to pick up his career-high sixth shutout of the season. A year after being worst in the NHL in goals allowed under previous coach Doug Weight, the Islanders won the William M. Jennings Trophy for the fewest goals allowed. NOTES: Matt Martin scored an empty-net goal with 2:33 left to seal it. … Islanders D Johnny Boychuk was back in the lineup after being a healthy scratch Thursday. … Capitals LW Alex Ovechkin finished with 51 goals, which was two more than Edmonton’s Leon Draisaitl for the league lead with the Oilers in action in Calgary later Saturday. … F Dmitrij Jaskin played his first game since Jan. 17. … A pregame tribute was held on the one-year anniversary of the Humboldt Broncos junior hockey team’s bus crash that killed 16 people and injured 13. 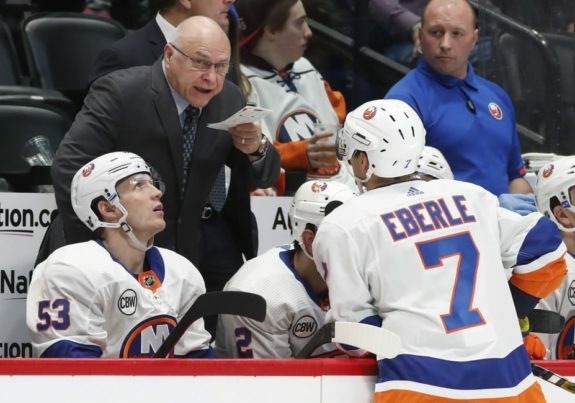 The Islanders and Capitals are each four playoff wins away from a second-round showdown between Trotz and former associate coach Todd Reirden.